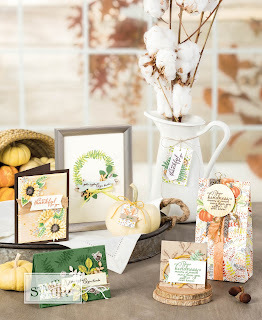 The Holiday catalogue is available and I am most excited about a new stamp set and punch bundle called Painted Harvest. I love sunflowers, but this stamped image can be done in a whole array of colors to create different flowers. 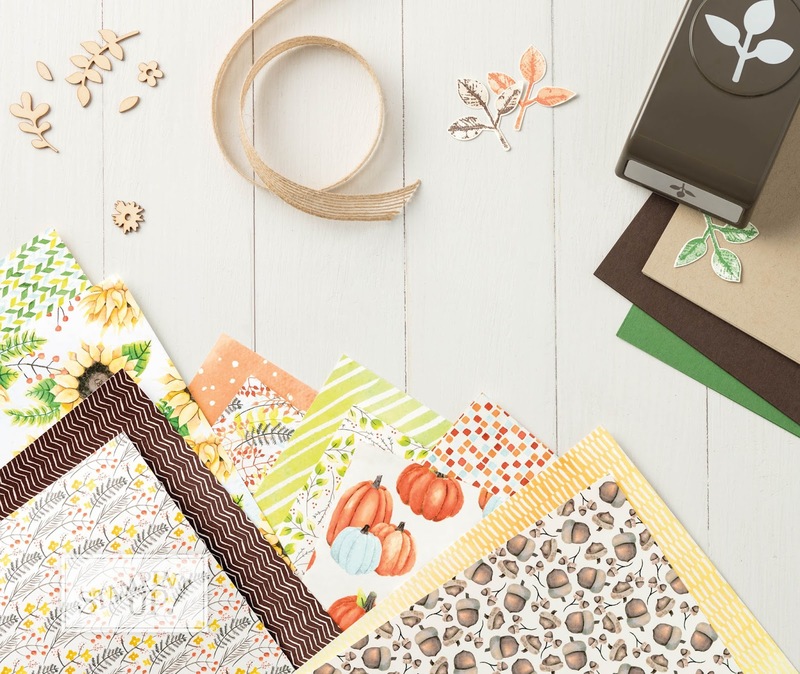 This set is so versatile that you'll be able to create home décor, cards, scrapbook/memory keeping pages, gift bags and tags and oh so much more! I love the SU Suites - everything coordinates and makes creating so easy. Today's post is the first of several that will feature products from this suite. Today I'm sharing a card I created last night for my youngest son. He is attending a friend's wedding today and asked if I would create a wedding card for him. 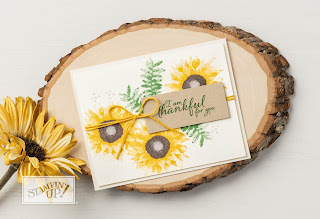 The couple were married today at the local Boy Scout camp- so rustic and their invites included sunflowers. Here is what I cam up with. The card is clean and simple Whisper White Cardstock. 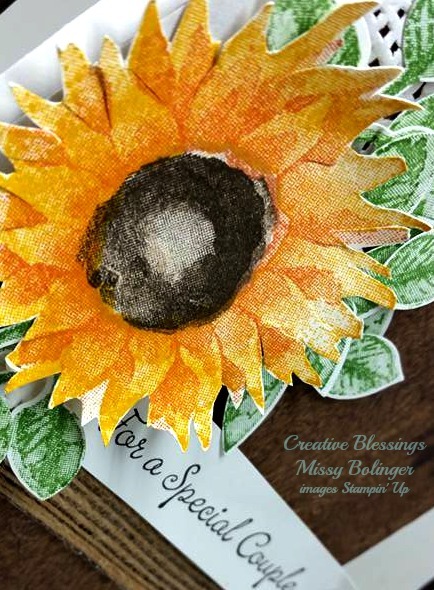 a layer of DSP from the Wood Textures Paper pack that was embossed using the Pinewood Planks Embossing folder. Half a doily, some Burlap Trim. The leaves are stamped in Garden Green and the punched with the new Leaf Punch. Sunflower was stamped with Crushed Curry and Tangerine Tango and the center is Early Expresso. The Greeting on the outside and inside are from the stamp set- Special Celebrations. I have a lot more samples to share with you and an upcoming Free class for anyone who purchases this bundle. Happy Saturday and make some time to create!